Brewed with a special blend of domestic and Belgian malts for a delicate nut-like character, you'll love this lager's rich taste and signature hop aroma. The exceptional full-bodied taste reflects our brewery's extraordinary commitment to brewing beers of the highest standard of quality. We hope you'll enjoy it. Happy Holidays! This was in a variety case of Christmas bees that I got from State Line Liquors just before Christmas. I managed to save a few of these to review. The beer pours a clear dark amber with ruby hues and a off white head. The nose is interesting with pilsner and caramel malt aromas along with grassy notes and a touch of floral hops. Not a bad first sip; easy drinking, somewhat sweet with caramel malt flavors and nutty notes. The taste starts out with a touch of sweetness up front followed by effervescence over the tongue in the middle of the sip. The back-end is very easy drinking with an effortless swallow. There is additional carbonation release during the swallow that masks flavors and adds a refreshing aspect to the experience. The finish is pleasant with pilsner malt flavors with a touch of caramel followed by a slight hop bite and touch of spice. There is also a distinct harshness on the finish. This is not bad, for me it’s more typical of a lager. There is little of a final aftertaste just a hint of some caramel malt. At this beer warms that harshness is almost overpowering and now leaving a bad aftertaste. 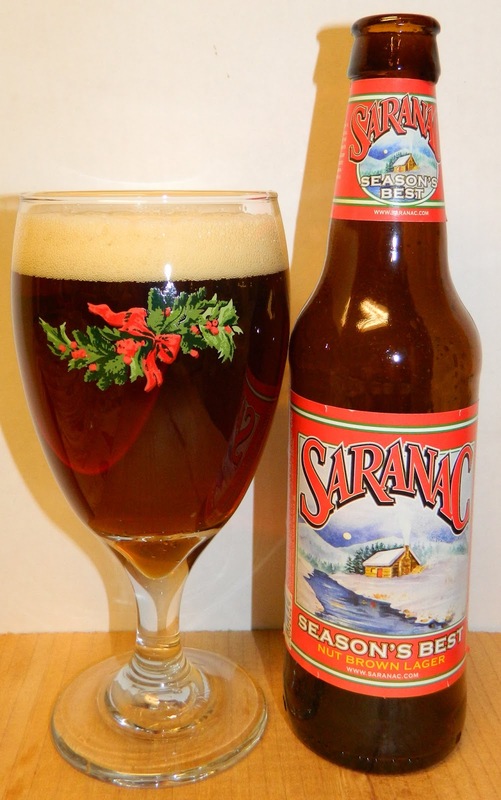 C | Saranac’s Seasons Best is anything but the best. It’s not a awful lager but it’s also not a very good one. 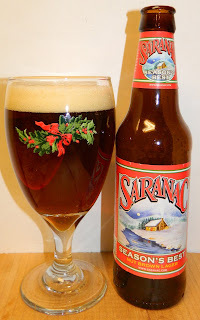 It does have nice malt flavors with a touch of caramel and spice with a slight hop bite on the finish. However it also has a harshness that turns down right unpleasant as the beer warms.